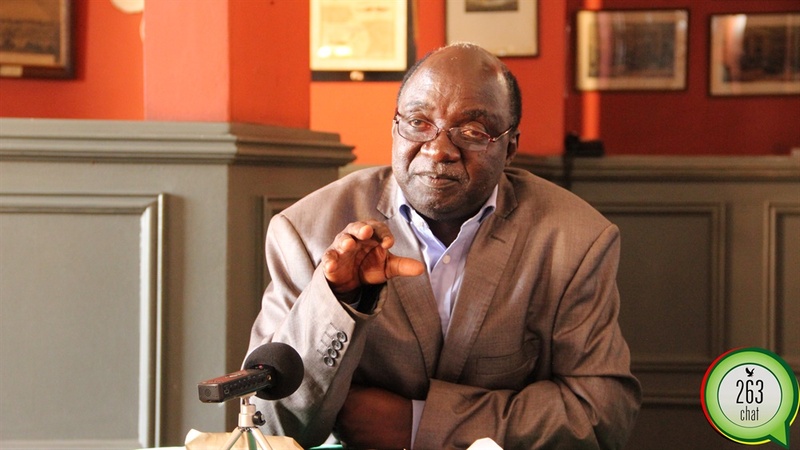 Zanu PF Harare Provincial Commissar, Douglas Mahiya has vowed that MDC Alliance Presidential candidate, Nelson Chamisa will never win the 30 July harmonized elections saying Zimbabweans will not vote for a ‘small boy’ to rule the country. Addressing hundreds of supporters who attended a Zanu PF rally at Gwanzura Stadium in Harare yesterday, Mahiya called Chamisa a small boy who is wasting time campaigning as he will never dislodge the ruling party from power. “I heard a small boy talking about winning elections, saying he is taking over the country, this country will never be ruled by small boys and we will never allow that, isn’t it true people?” said Mahiya. “I believe no one will vote for him, Chamisa and I, can see you are so many here and these numbers will never go to Chamisa, go and tell those whom you left at home to vote for ZANU PF on the 30 of July,” he continued. Mahiya who is also the Zimbabwe National Liberation War Veterans Association ZNLWVA Spokesperson was once booted from the ruling party for demeaning former President, Robert Mugabe and his wife Grace. The rally was also addressed by vice President, Constantino Chiwenga who castigated MDC-run councils for failing to deliver services, yet residents were paying rates. “Better you come back home to Zanu-PF, the political party that brought Independence. Let us unite and build the Zimbabwe we want,” said Chiwenga. Zimbabwe is due to hold the next harmonized elections on 30 July with stakes very high in favor of both the ruling party and the main opposition MDC Alliance which has repeatedly threatened the Zimbabwe Electoral Commission that the country will not hold polls in the absence of agreed ballot papers.